Vogue Tyre & Rubber is recalling 1,203 Signature V tires, sizes 245/40R20, 235/45R17, 225/50R17, 225/45R17, 235/55R17, 245/45R17 and 235/65R18, and Signature V SCT tires, sizes 285/45R22, 275/55R20. The tires have incomplete Tire Identification number (TIN) codes on the intended outboard sidewalls in that they are missing date codes. Missing TIN information can make it difficult for owner to identify the tire in the event of a recall, potentially increasing the risk of driving with a recalled tire which could result in a crash. 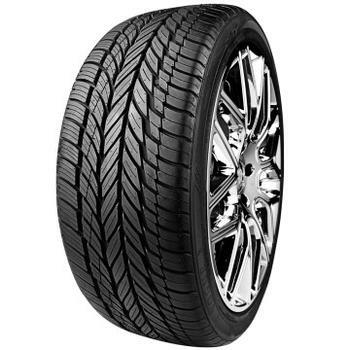 Thus, these vehicles fail to comply with the requirements of Federal Motor Vehicle Safety Standard (FMVSS) number 139, "New Pneumatic Radial Tires for Light Vehicles." Vogue will notify owners, and dealers will replace the affected tires, free of charge. The recall is expected to begin February 12, 2018. Owners may contact Vogue customer service at 1-800-323-1466.